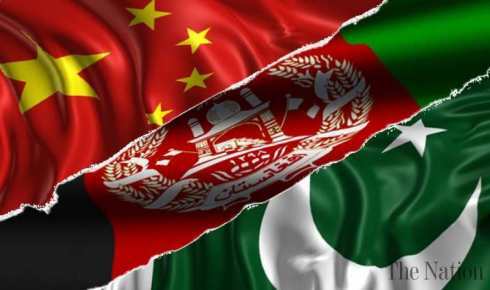 In December 2017-in efforts to improve Pak-Afghan relations China hosted the First China-Afghanistan-Pakistan Foreign Ministers’ Dialogue to discuss mutual security and economic prospects. In February 2018, during Foreign Secretary Tehmina Janjua’s visit to Afghanistan- the scope of Afghanistan Pakistan Action Plan for Peace and Solidarity (APAPPS) was discussed— the joint action plan aims to work in areas of counter-terrorism and reduction of violence, peace and reconciliation, refugees’ repatriation and joint economic development. In March 2018, Pakistan participated in The Tashkent Peace Conference on Afghanistan. The conference concluded with calls to support an Afghan owned inclusive political reconciliation process. This declaration was adopted by Afghanistan, Pakistan, China, Iran, India, Qatar, Russia, Saudi Arabia, Japan, Kazakhstan, Kyrgyzstan, Tajikistan, Turkey, Turkmenistan, United Arab Emirates, United Kingdom, United States, Uzbekistan, EU and UN. Soon after the conference, in early April 2018, Kabul accused Pakistan of carrying out an air strike on Afghan side of the border in Kunar’s Dangam district. Pakistan denied the charges and military officials of the two countries met on April 5 in Pakistan and Pakistani officials shared details of the operations on Pakistan’s side of the border with Afghanistan. Pakistan to support the Afghan-led and Afghan-owned peace and reconciliation. To put in place a joint supervision, coordination and confirmation mechanism through Liaison Officers (LOs) for the realization of the agreed actions. The two countries commit to avoid territorial and aerial violations of each other’s territory. The two countries to avoid public blame games and instead use APAPPS cooperation mechanisms to respond to mutual issues of contention and concerns. Establish Working Groups and necessary cooperation mechanisms as per APAPPS for full implementation of the APAPPS and the above, mutually reinforcing principles. However, soon after this visit, the Afghan CEO Abdullah Abdullah’s office stated that the results of Pakistan Prime Minister Shahid Khaqan Abbasi’s visit to Kabul are not clear so far and that there has been no sign of progress in relations between the two countries. Instead, mid-April witnessed another series of border clashes between Pakistan and Afghanistan. Senior Pakistani officials once again met with Afghan military officials in Quetta on the 3rd of May and discussed security issues, focusing on border management. The Pak-Afghan ties continue to oscillate. Prominent experts state that both countries continue to face security challenges and advise the two governments to work together and ensure that any violent incidents in either country do not spoil the new mechanism envisioned under the APAPPS. Some prominent regional players such as China also support improved Pak-Afghan ties. The idea of a political settlement between the Taliban and the Afghan government is gaining further support from some regional countries as the most feasible solution to end years of war. The US also lauded Pakistani efforts in reaching out to Afghanistan in regards to the APAPPS. It is believed that enhanced US support would translate to positive progress in materialisation of the APAPPS. However, despite US support for improved Pak-Afghan ties it has not yet shown significant willingness to end the military action against rebel groups in Afghanistan. Whereas, the Taliban on its part, has indicated that it prefers to conduct direct talks with the US instead of Afghan government as a prerequisite for peace talks. In recent months- following a tragic car blast in March 2018 in Afghanistan- several protests were initiated by Afghans in efforts to push the Afghan government and Taliban to engage in peace talks. Dozens of Afghans launched hunger strikes in an attempt to call attention to the ongoing internal violence. Sit-ins in support of the Helmand protestors were organised in Herat, Nimruz, Farah, Zabul, Kandahar, Uruzgan, Ghazni, Paktia, Kunduz, Kunar, Nangrahar, Balkh, Parwan, Daykundi, Maidan Wardak and Jawzjan. Members of the Afghan parliament also lend support to the protestors. The Afghan government on its part has not responded to these strikes. In the Afghan governments view, the President already made his offer to the Taliban but the group remains adamant to talk with the US directly. Despite the calls by the locals, the violence in Afghanistan has not seen any decline. On 2nd April US conducted a massive airstrike on a suspected location in Dasht-e-Archi- this resulted in several civilian casualties and deaths. The disagreements over the reconciliation mechanisms and ongoing violence, continue to provide space to terror groups-such as IS- in Afghanistan. IS conducted a series of high profile attacks in end of April 2018- with the aims of targeting intelligence headquarters and other crucial government buildings. This attack also occurred prior to the much touted Trilateral Ulema conference in Indonesia. Muslim scholars from Pakistan, Afghanistan and Indonesia assembled in Jakarta on 10th of May 2018, in order to create a new narrative and issue a fatwa against terror attacks in light of Islamic principles. The conference ended with a unanimous denunciation of violent extremism and terrorism, including suicide attacks. However, no state or a group was explicitly named. It is yet to be seen what impacts this conference would have on the Afghan peace process. It is believed that some factions of the Taliban are willing to engage in peace talks with the Afghan government. Whereas, some factions are unwilling to negotiate owing to US military actions as they perceive it would indicate weakness. The US on its part is also unwilling to engage in direct talks with factions of Taliban as it also indicates weakness and undermines the Afghan government. Some experts believe that with both the Taliban and the US pressing to achieve favourable conditions for peace talks, the scenario in which the Taliban will immediately go for peace talks seems unlikely. These internal Afghan dynamics continue to raise questions over how the regional players could constructively facilitate the Afghan peace process. The APAPPS is a ray of hope in a bleak scenario.